This adorable 4 bedroom, 2 bath home is move-in ready for you and your family! 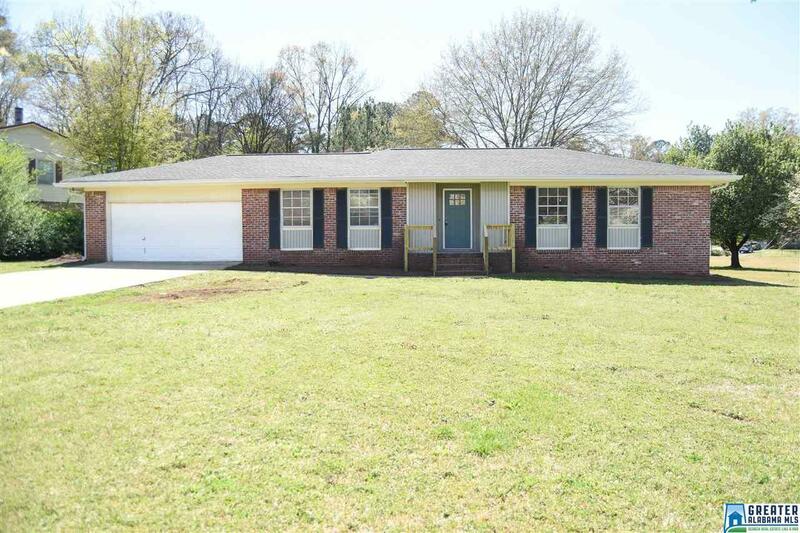 The home offers new paint, new hardwood laminate floors, large living room, remodeled kitchen featuring stainless steel appliances and granite countertops, spacious bedrooms with brand new carpet, and a huge garage. Outside, enjoy your new large corner lot and fenced in backyard with a covered deck to enjoy the upcoming spring and summer days. Don&apos;t wait, Call today! Driving Directions: I-20 W Toward B&apos;ham, Take Exit 185 Onto Al-21, Left Onto Quintard Dr. Left Onto Al Hwy 21, Left Onto Asbury St. Right Onto South St. E., Left Onto Cherry St., Right Onto Hillandale Dr., Left Onto Hilltop Dr.
We have worked with David over the past couple of years as both buyers and sellers. In addition to David’s extensive knowledge of the Calhoun County area as well as market conditions and trends, we were especially impressed by his negotiation skills. In each transaction, he was able to get us where we wanted to be in both price and terms. Again, nothing but positive things to say about David; we are happy to have him as both personal friend and realtor. He’s the best, and would recommend him to anyone without reservation. Copyright 2019 Birmingham Area Multiple Listing Service. All rights reserved. The data relating to real estate for sale on this web site is provided by the Birmingham Area Multiple Listing Service. Information provided is for consumer\'s personal, non-commercial use and may not be used for any purpose other than to identify prospective properties consumers may be interested in purchasing. This site will be monitored for \'scraping\' and any use of search facilities of data on the site other than by a consumer looking to purchase real estate, is prohibited. Listing broker has attempted to offer accurate data, but buyers are advised to confirm all items. Information last updated on 2019-04-22.